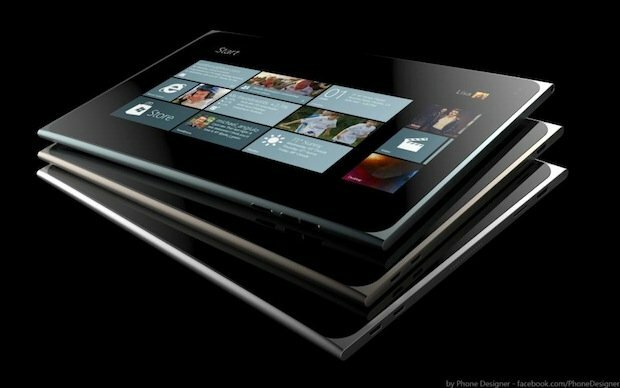 Rumours have been doing the rounds for some time now about the upcoming Nokia Sirius Windows tablet. Up until now, the project has been running on its code name of ‘Nokia Sirius’ but according to serial technology revealer ‘EvLeaks’, the tablet will be called the Nokia Lumia 2520. Nokia have been using the Lumia name across their smartphone division, so its no major stretch for them to extend this into their tablets. The formula so far has been to append seemingly random numbers to the Lumia name, and our sources indicate that this will continue. Nokia as an organisation have always liked to use four-digit numbers in their product names, going all the way back to their original best-selling 3310 model. So the Nokia Sirius, as its been known to date, will sport a 10.1 inch screen. Whilst large framed for a tablet, the leaks around the screen quality have been less than mind-blowing. Some reports indicate that the 1371 x 771 resolution screen will only sport 156ppi, which in the world of super-definition ‘retina’ tablets, is far from overwhelming. The tablet will be built around the Windows OS. Nokia are in acquisition talks with Microsoft at the moment, and all pointers indicate that the company will soon become part of the Microsoft family. Therefore, it its fairly obvious to see why the company are building to Microsoft specifications at the moment. In terms of wider specs, its highly likely that the Lumia 2520 will be built on the in-vogue snapdragon 800 processor. We’re also expecting a Qualcomm Adreno 330 GGU with an ARM CPU. The base storage is expected to start at 32GB, with an additional micro-USB port. Rumours have pointed towards a screen optimised towards outdoors usage, most likely delivered via a stronger brightness and contrast ratio, and the battery will most likely fall in line with the markets circa 10 hour range. The Lumia 2520 price point is said to be in line with the Apple iPad, so we can expect the entry models to begin at around the £400 mark, and to work up to around £750 for the higher specification models. Finally, in terms of launch date, we’e most likely looking at November, although late October is a possibility. Nokia have an event scheduled for their Lumia 1520 smartphone, so its not beyond the reams of possibility that they may simultaneously launch their tablet alongside this. Its tempting to try and read something into the similarities in the two devices names, with just the first digit different between this tablet and the upcoming smartphone. Does this mean that we can expect a dual-launch? We’e never had much joy figuring out the rhyme and reason behind Nokia names in the past, but it doesn’t stop us trying. Whatever happens, we’ll be sure to keep you posted. Next articleBBM for Android & iOS delayed again, will they ever launch considering financial situation?